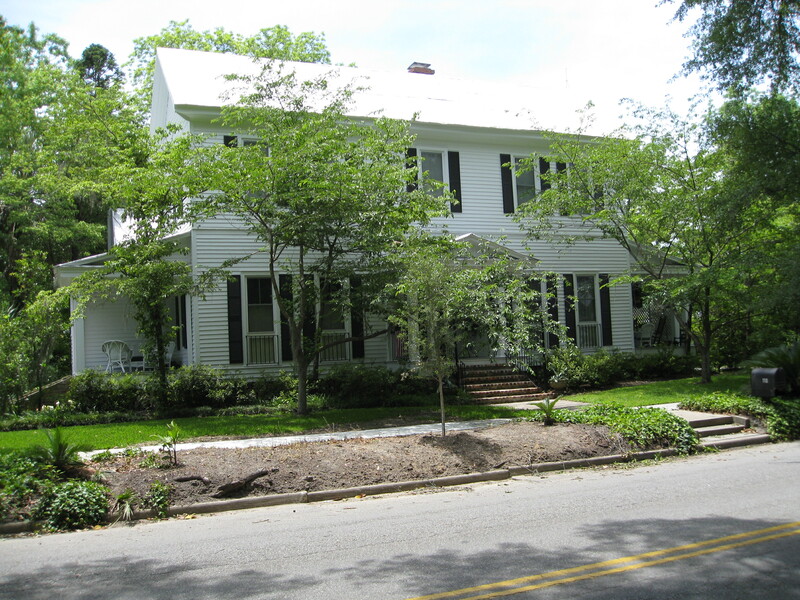 Since 2004, Eric has been contracted frequently by private individuals, corporations, and government agencies in South Carolina as an historical and architectural consultant for historical eligibility reviews and nominations to the National Register of Historic Places. While Eric often shepherds Register nominations through the entire process, including preparation of the formal nomination and presentation of the nomination to the State Board of Review, he also has assisted other individuals as an advisory consultant on nominations they wish to complete independently. Eric is a fierce advocate for responsible and sustainable historic preservation initiatives. Since his move to North Carolina in 2011, he has been working with local agencies and partners throughout the Carolinas and Virginia to develop new preservation projects. The following are examples of the historic preservation projects on which Eric has served as a consultant. With the exception of the group-authored nomination for Columbia and those on which he served as an advisory consultant, Eric wrote the full text for each nomination and made the final presentation before the State Board of Review. The original Port Royal School building, constructed in 1911, is a two-story, Colonial Revival, solid concrete block, side-gabled building with prominent exterior chimneys and a four-sided cupola that originally served as a bell tower. Designed by the noted South Carolina architectural firm of Wilson and Sompayrac, the Port Royal School has been renovated on two notable occasions, in 1954 and 1997. A substantial addition was also completed in 2002. 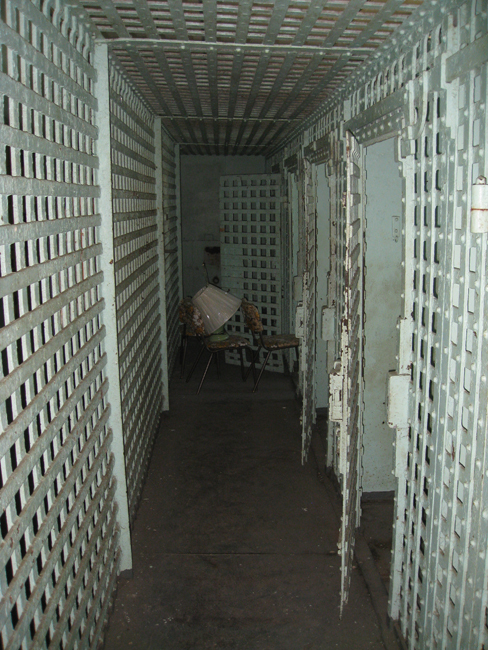 In addition, both the 1911 and the 1954 buildings at the Port Royal School reflect their direct association with Port Royal’s uniquely complicated history of racial segregation in the years following the collapse of the Port Royal Experiment initiated during the American Civil War. 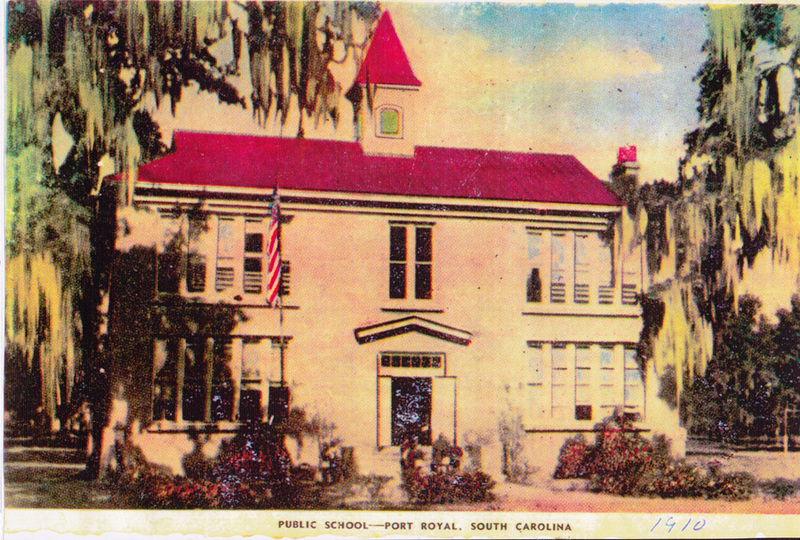 During the period from 1911 to 1954, the Port Royal School reflected the period’s conflicting approaches to school segregation and separate-but-equal funding of education in the state of South Carolina, including as a recipient of federal Impact Aid construction funds in the early 1950s and as a fixture of white advantage even after Equalization funds were finally expended on behalf of Port Royal’s black students in 1954. 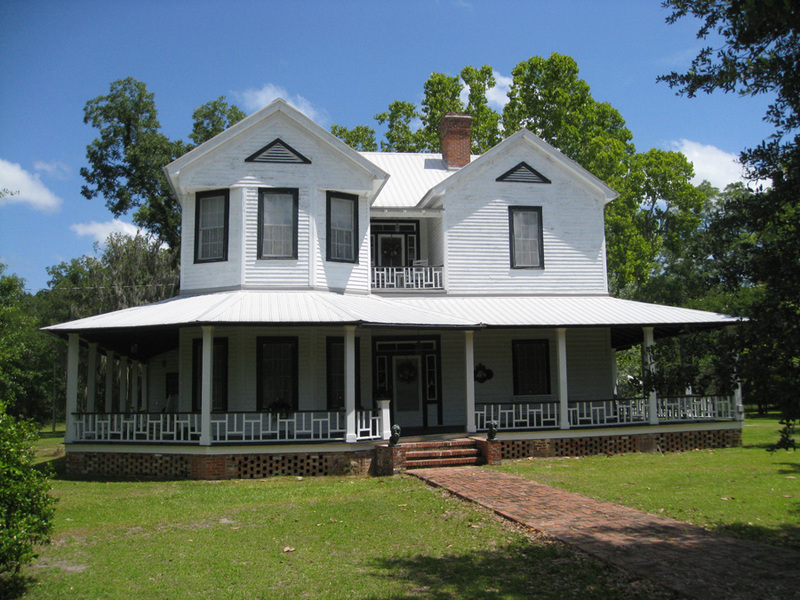 The Port Royal School was listed in the National Register of Historic Places on April 21, 2014. 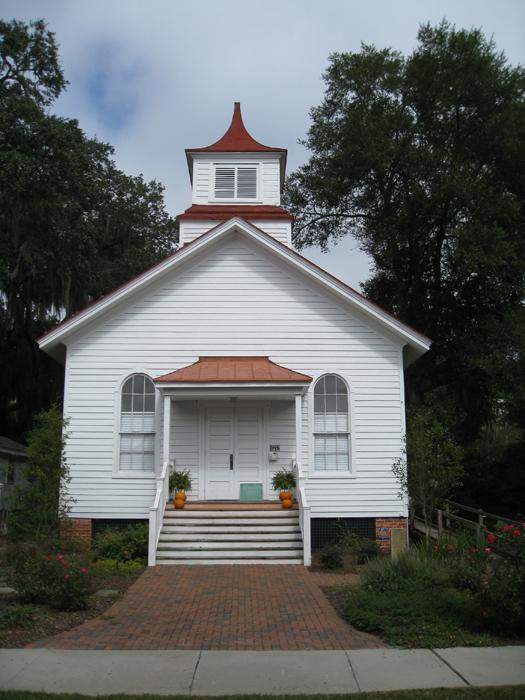 The Union Church of Port Royal, which was built with donated lumber by local citizens in 1877-78 to provide the Port Royal community its only white house of worship at that time, is a remarkable example of vernacular architecture with Italianate flourishes, reflecting the influence of the prevailing architectural trends of its period and of the surrounding buildings in the community. 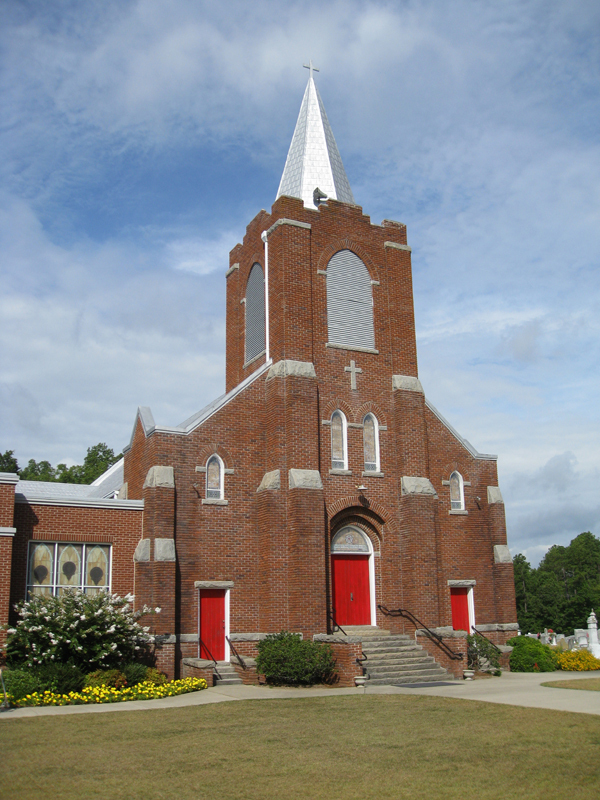 It maintained its de facto segregation status as a white church through the 1950s, a curious counterpoint to the community’s fame as the venue for the Civil War-era Port Royal Experiment, in which occupying white northerners encouraged local black southerners to “practice” self-sufficiency through self-governance and economic independence. 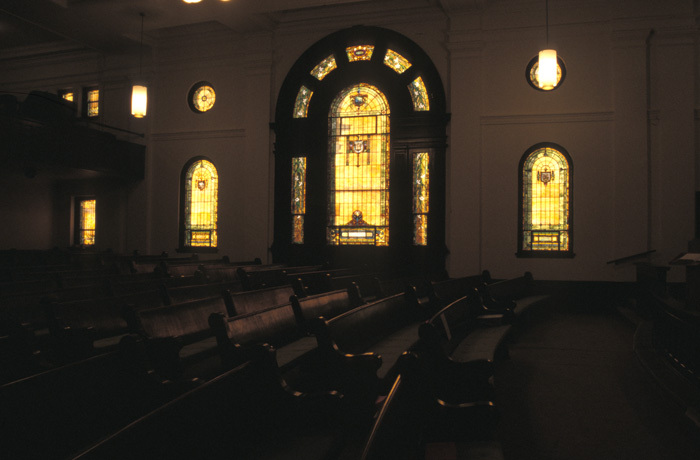 A site of community religious services for the entirety of its existence, the Union Church has also served as a theater and, since its 2004 restoration, as a museum and community hall. 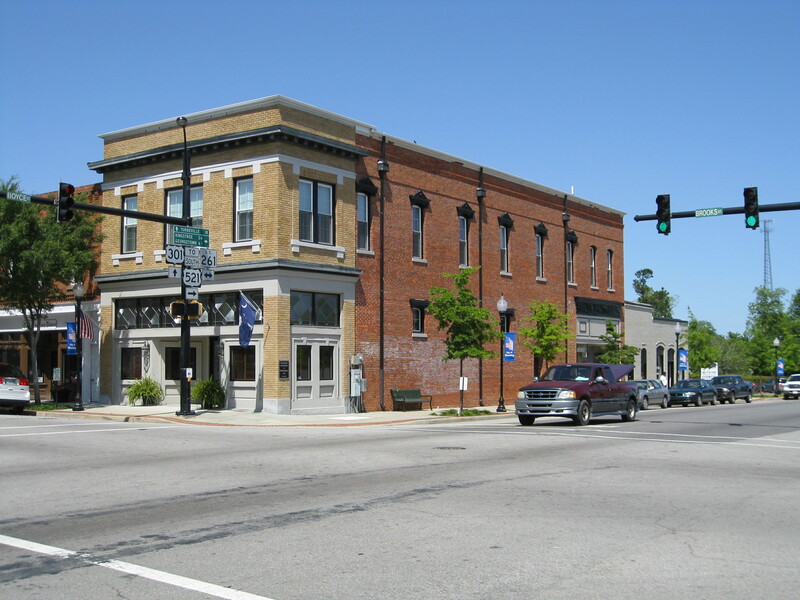 It remains a center of community life in the Town of Port Royal. The Union Church of Port Royal was listed in the National Register by the National Park Service on November 17, 2010. The full text of the nomination and additional photos are available at the SCDAH. 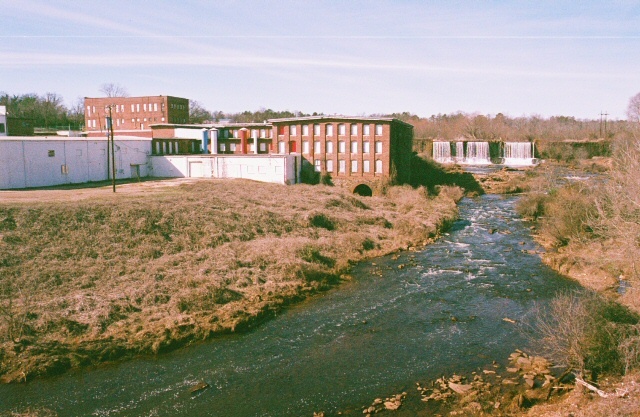 The Conestee Mill is a large mill complex located on the shores of the Reedy River in the village of Conestee, approximately eight miles south of the city of Greenville in Greenville County, South Carolina. Mill operations began here by the 1830s under the direction of Vardry McBee, including the production of paper, wood, flour, and textiles. The present mill complex includes the replacement mill building constructed in 1884, various alterations to this building (including substantial additions in 1898 that incorporate the mill race and turbine), and a free-standing company store building built between 1913 and 1920. The mill complex remains a fascinating example of a late nineteenth-century mill operation whose architecture was repeatedly altered during the early twentieth century to keep up with increasing production demands and changes in industry technology. These architectural layers of history make the Conestee Mill an excellent example of southern Progressive Era industrial architecture worthy of inclusion on the National Register of Historic Places for its local significance. Eric was an advisory historical consultant on this nomination, which was listed in the National Register of Historic Places on March 2, 2014. 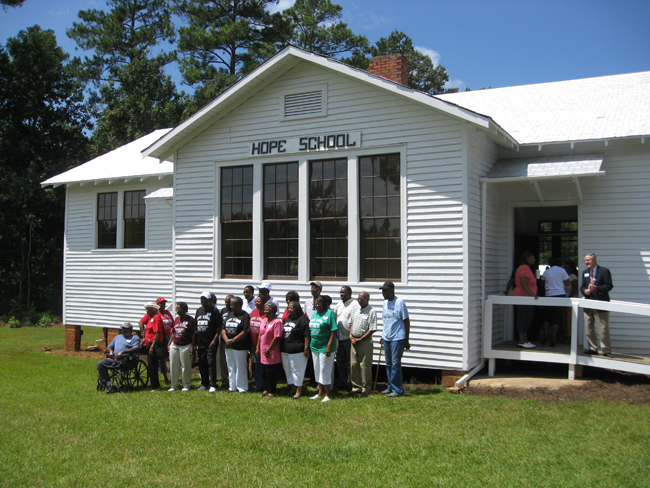 The Hope Rosenwald School is significant for its role in African-American education and social history in South Carolina between 1925 and 1954, and as a property that embodies the distinctive features of a significant architectural type and method of schoolhouse construction popular throughout the southern United States in the early twentieth century. 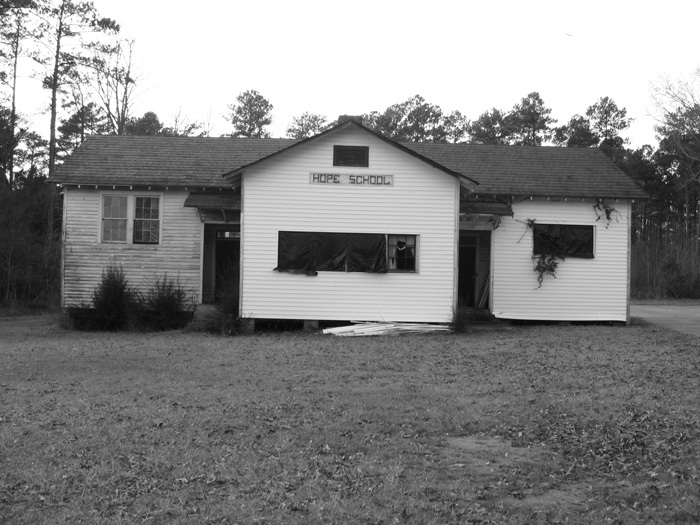 Like other Rosenwald schools, the Hope Rosenwald School can trace its origins to the contentious debate over the education of southern African-Americans in the late nineteenth and early twentieth centuries. While the end of the American Civil War had brought about state-initiated funding and operation of some local schools for black children in the South, the policies emphasizing racial segregation during the Jim Crow era left southern blacks with few opportunities for a truly complete primary education and even fewer secondary school options. Among those who sought a method for insuring that black educational opportunities in the South might be improved was Julius Rosenwald, CEO of Sears & Roebuck and a trustee of the Tuskegee Normal and Industrial Institute. At the request of Booker T. Washington, Rosenwald began a school building fund to benefit southern African-Americans, especially those in rural regions, and from 1917 to 1932, Rosenwald’s program led to the construction of more than 5300 public schools, teachers’ homes, and instructional shops in fifteen southern states, nearly 500 of which were located in South Carolina. 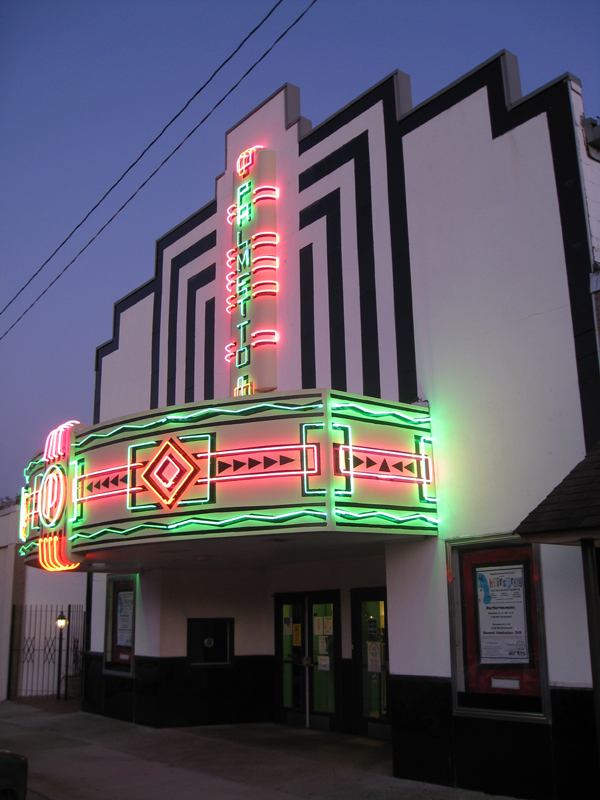 Listed in the National Register on October 3, 2007. The full text of the nomination and additional photos are available at the SCDAH. For more on this remarkable success story in historic preservation, see the interactive slideshow from Columbia’s The State online news source. Artifacts from this school will appear in the forthcoming exhibits of the Smithsonian National Museum of African-American History, scheduled to open in 2015. 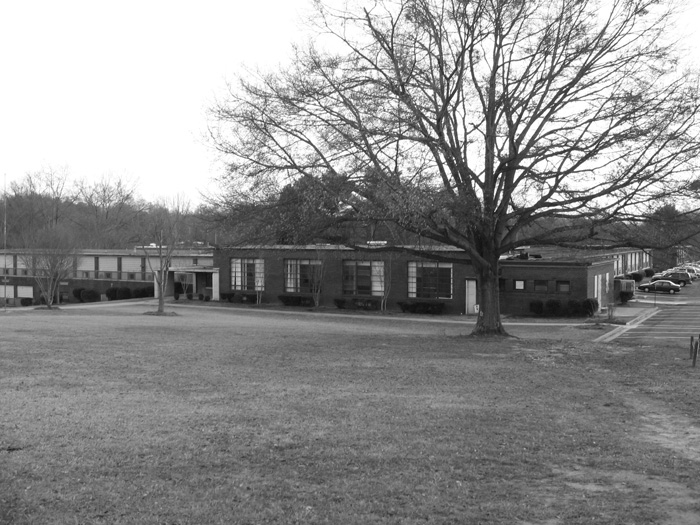 The Mary H. Wright Elementary School is significant for its association with the statewide struggle over racial equality in education during the 1950s and as a remarkable local example of how one community attempted to implement the state legislature’s initial response to the legal challenges brought against South Carolina’s segregated educational system. The school, constructed in 1951, was one of the first buildings constructed in the state with funds from the statewide sales tax used to finance the state’s equalization program of Governor James F. Byrnes and was cited in litigation from the period for its importance in relationship to this program. 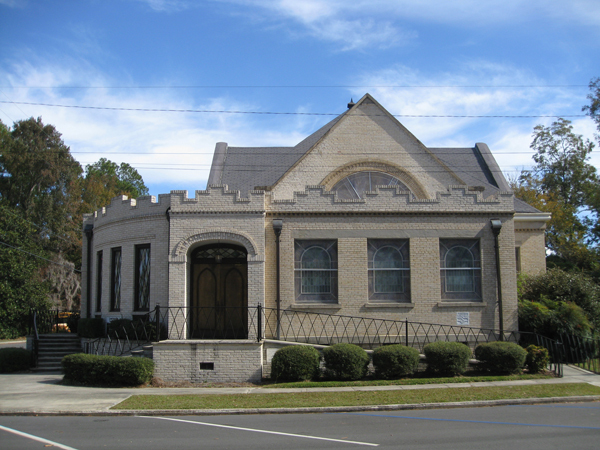 The school is also significant as an excellent example of International style institutional architecture in upstate South Carolina and as an important design work of W. Manchester Hudson and A. Hugh Chapman, Jr., prominent local architects of the mid-twentieth century. The school was named for a local Southside resident and black educator. 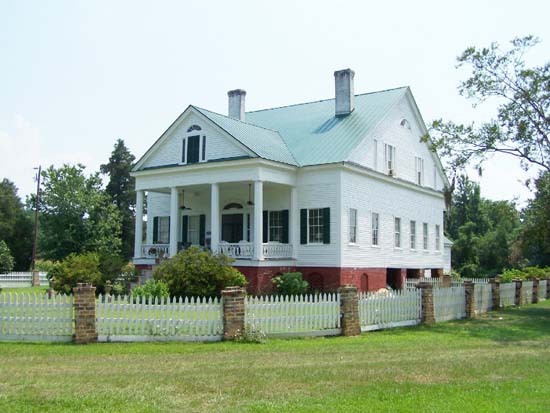 Listed in the National Register August 3, 2007. The full text of the nomination and additional photos are available at the SCDAH. Just came across your website and wanted to say hi and Happy New Year. Hope all is going well. I enjoyed looking at your photography blog. Very good to see these old buildings being preserved!